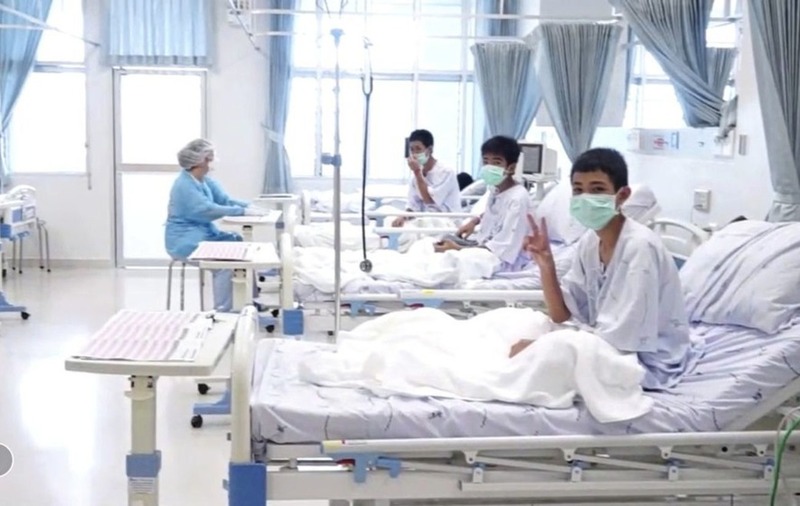 ONE of the divers who helped to save 12 schoolboys and their football coach from a flooded cave in Thailand played down his heroics as he returned to Britain. Rick Stanton denied he was a hero and said he was using a "very unique skill set" to "give something back to the community". 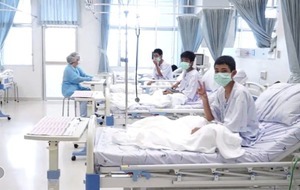 Mr Stanton and several other divers had joined the rescue mission after the football team became trapped in an underground network in Chiang Rai province following monsoon rains. Diver Jim Warny, from Co Clare, was also involved in the rescue mission. He flew back to Shannon airport this morning. The Belgian-born diver has been living in Ireland for 15 years. He was met by members of his family on the airport runway. Mr Stanton, from Coventry, and his colleague, John Volanthen, from Bristol, were the first divers to reach the stranded group in the Luang Nang Non Cave. They then launched a mission to rescue the boys and their 25-year-old coach, which concluded on Tuesday after an 18-day ordeal. The operation claimed the life of Thai navy diver Saman Kunan, who died while replenishing oxygen canisters. The rescue was particularly treacherous because the boys, aged 11 to 16, had to swim through tight spaces despite having no previous diving experience. Speaking on his return to the UK, Mr Stanton said: "Are we heroes? No, we were just using a very unique skill set, which we normally use for our own interests and sometimes we are able to use that and give something back to the community. "This was completely uncharted, unprecedented territory and nothing like this has been done. So, of course there were doubts. "I knew that we had a good team, with good support from the Thai authorities, the caving community and rescue organisations, so we had the best we could do to make a plan work." Mr Stanton described his relief as he and Mr Volanthen discovered that the boys were still alive - nine days after they went missing deep within the labyrinth. "Initially, of course, excitement, relief that they were still alive. As they were coming down the slope, we were counting them until we got to 13 ... unbelievable," he said. "We gave them a little bit of extra light, they still had light, they looked in good health. "Then, of course, when we departed, all we could think about was how we were going to get them out. "So there was relief, tempered with uncertainty." Mr Stanton would not describe how his team rescued the children, saying it was "too detailed for this point in time". "The most important thing to have was a full face mask which had been applied inside with positive pressure to enable them to breathe and to be relaxed enough so not to feel any anxiety during the process," he said. "There was a lot of chaos but we were so task-orientated, focused, and we blanked that out and carried on with the job in hand, step by step, until we achieved success." During a press conference at Heathrow Airport, Mr Stanton declined to answer any medical questions but said: "They were carefully handled. "There is a lot of responsibility, that is all I am prepared to say ... There is a lot of responsibility that an experienced diver could handle." As well as Mr Stanton, fellow divers Chris Jewell and Connor Roe, both from Somerset; Josh Bratchley, from Devon; Mike Clayton, from Yorkshire; and Gary Mitchell, from Wales, returned to the UK on Friday. Mr Jewell said: "Our role was to help transport the boys under water through the cave to bring them out. "The diving conditions were extremely challenging, there was poor visibility and responsibility for another human being's life. "It was a successful outcome and we played a part in an international effort." Mr Jewell said it was very hard to judge how close it came to being a very different outcome. "The Thai authorities took a lot of steps to divert rivers on the mountain top which we believe bought us as lot of time to get this outcome," he said. As he left the press conference, Mr Stanton was asked if he would see the boys again. He replied: "I will see them sometime in the future. It will be good to get closure."